Pulling modern and traditional elements together in one home can be a minefield, but with the help of an amazing architect and interior designer, the results can be truly spectacular! And that's what we're going to show you today, as a heritage home got a modern extension and the interior reflects the juxtaposition of the exterior to perfection. We think you'll be staggered by the way contemporary décor has been supported with vintage furniture, to create an eminently usable and exciting home with a difference—so let's take a look! With a monochrome colour scheme, modern glazing and easy connection to the street, this façade is nothing short of stunning. 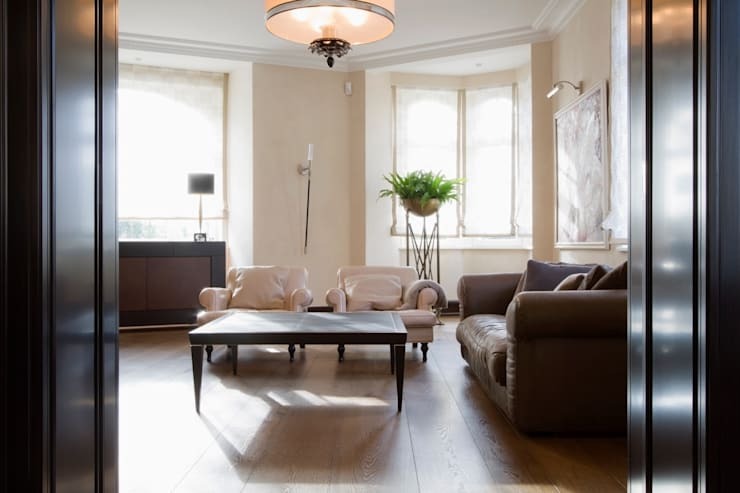 The boxy design makes the contemporary leanings impossible to ignore and some simple potted plants are working wonders to soften the look and create a welcoming ambience. 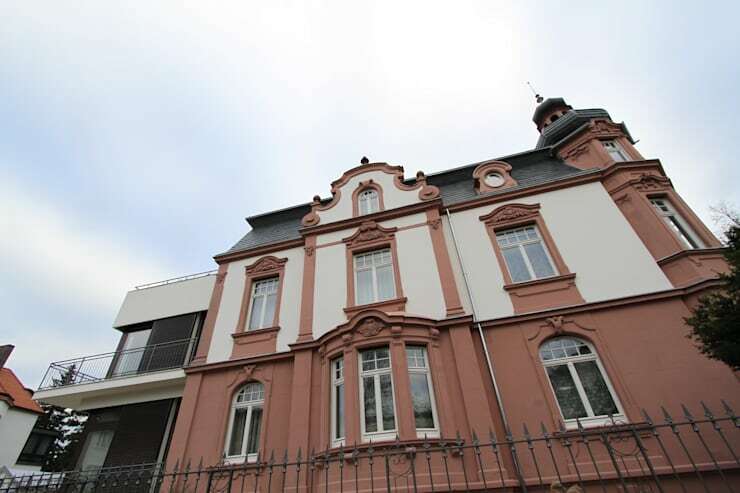 When you see what the modern façade is connected to, it really comes as quite a shock! The traditional elegance, colour and styling of this building wouldn't naturally make for a good connection with a startlingly modern addition, but by adding the contemporary portion to the side, the jarring is kept to a minimum. So clever! Incredible, isn't it? 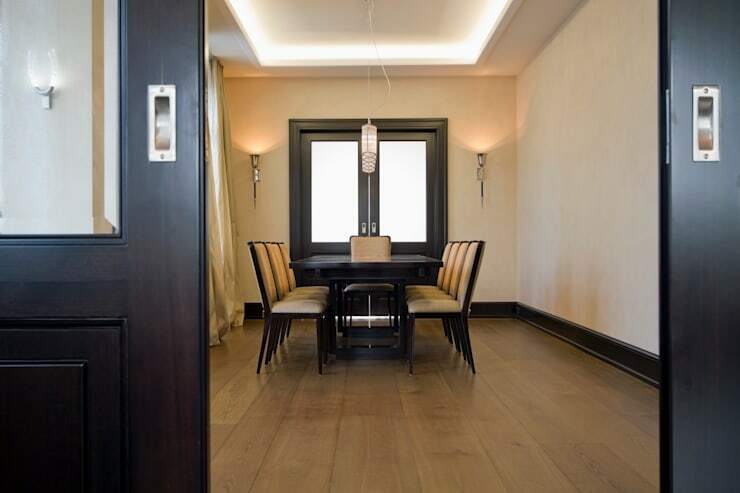 Unfussy, modern walls and a stylish wooden floor make no bones as to the fact there is a contemporary element permeating every facet of this home, but add in some traditional chairs and a statement light fixture and all of a sudden, you have the perfect combination of new and old, not to mention luxury! There is such a natural flow to this home! So many homes that want to adopt a modern interior negate more traditional spaces, but not this one! With a separate dining room, which has a formal feel to it, the continuous melding of old and new elements is alive and well. 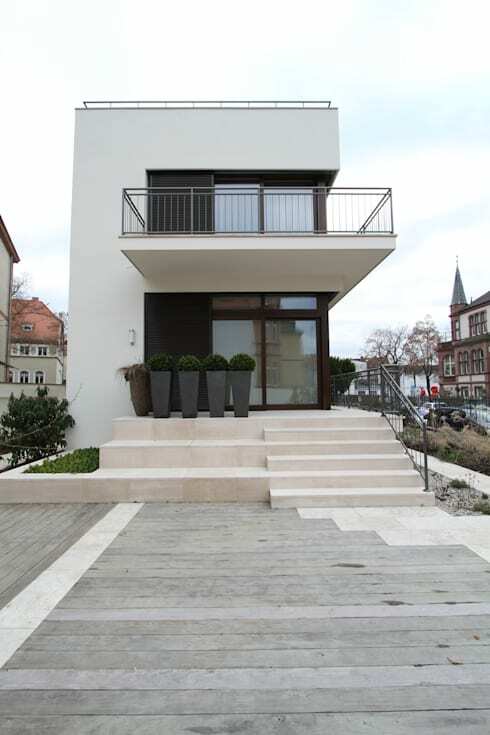 We really like the use of monochrome furniture, as it complements the new exterior so well. If one room can afford to be nothing but modern, it's the kitchen and what a treat this one is! Offering everything in the way of modern convenience, the smooth lines and integrated appliances really do make light work of creating a timeless installation. Again with the monochrome styling too, which offers such great cohesion! Why take the time to add some extra space to your home, if you're not going to make it really work for you? 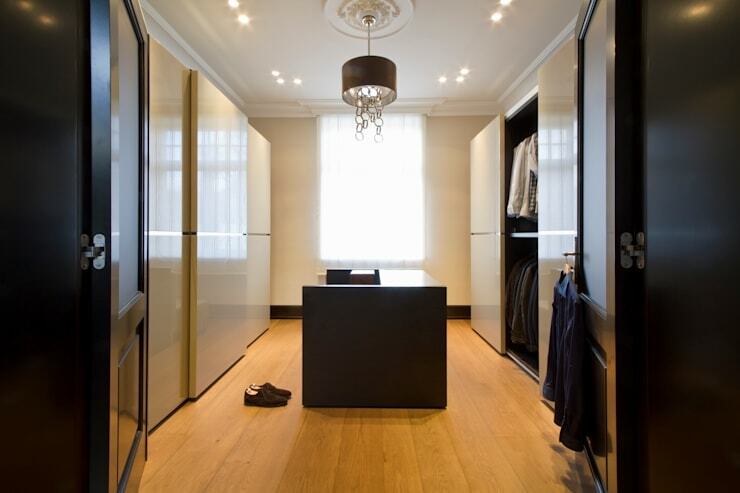 A walk-in wardrobe here is the ultimate in modern additions, but with a wonderfully traditional element of glamour and opulence. The contrast of super sleek cabinets with a glitzy light fitting really creates an interesting juxtaposition and we can't stop staring! Is it a bathroom or a spa? How delightful is this bathroom? 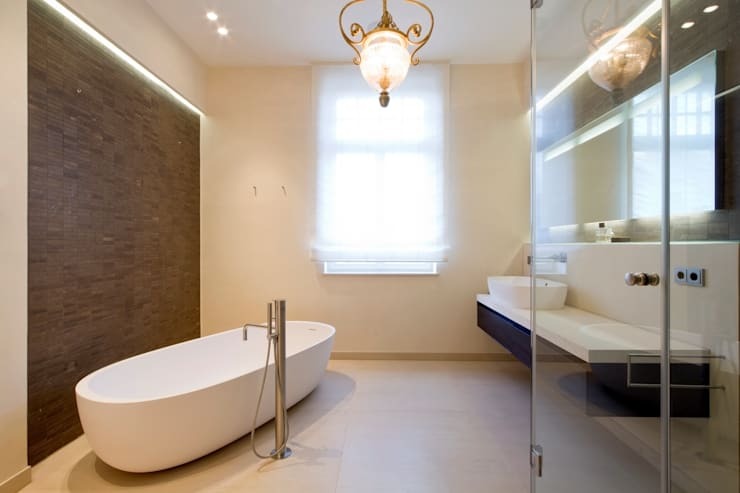 The freestanding tub really combines traditional décor with a modern twist, thanks to the sleek and contemporary design and by keeping the floor as free of pedestals as possible, there is a spacious and relaxing vibe. A feature wall and decadent light add in a little of the traditional look that we have come to expect and finish this amazing home off to perfection! For more beautiful home inspiration, take a look at this Ideabook: A fresh neutral apartment perfect for Singapore. Did you love the seamless blending of styles here?